A beautiful and atmospheric (excuse the pun) image! It's a pretty good 46 halo here. In lamp light blue circle etc would have been possible. 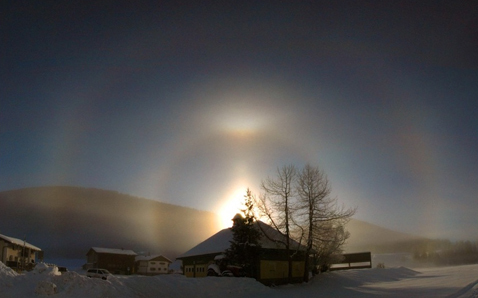 Yep, 46 deg sunlight halos like that are hard to come by.